Daniel Larimer(BM) is a software programmer and cryptocurrency serial entrepreneur. Larimer created the cryptocurrency platform BitShares (2014), was co-founder of the blockchain social platform Steemit (2016), and is CTO Block.one, a private company that was the original developer of EOS (2017). 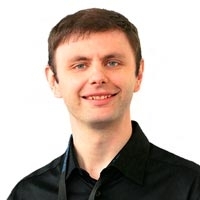 Daniel Larimer was also the creator of the DPOS (Delegated Proof of Stake Algorithm) consensus algorithm and Graphene technology.